Elizabeth Bennett and Mr. Darcy. Jane Eyre and Rochester. Romeo and Juliet. These are some of the greatest lovers in English literature. 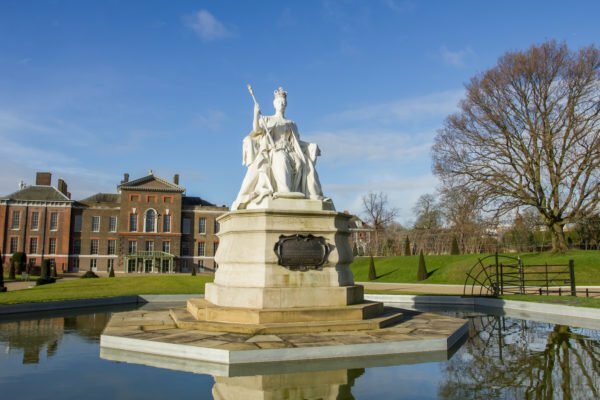 And as we all know, fiction is a great source for discovering an unforgettable love story, however, at Kensington Palace, you get a love story even Jane Austen would be jealous of: that of Queen Victoria and Prince Albert. At the Victoria Revealed exhibition you will discover some of Queen Victoria’s most personal artifacts as well as some of her more beautiful, political and even heartbreaking quotes from her diary (which are inscribed in gold writing on the walls). If you’ve ever seen “The Young Victoria” (in which Emily Blunt played the title queen), then you can probably imagine the dynamic of the relationship she had with her husband, Prince Albert. But if you’re like me, and haven’t seen the movie, then you’re in for a treat. Throughout the entire exhibition, you’re presented with the heartwarming tales of the love Queen Victoria and Prince Albert had for one another, including an 1836 journal entry, where she recounts her immediate attraction to Albert when they first met. As you’ll be able to tell, it was practically love at first sight. 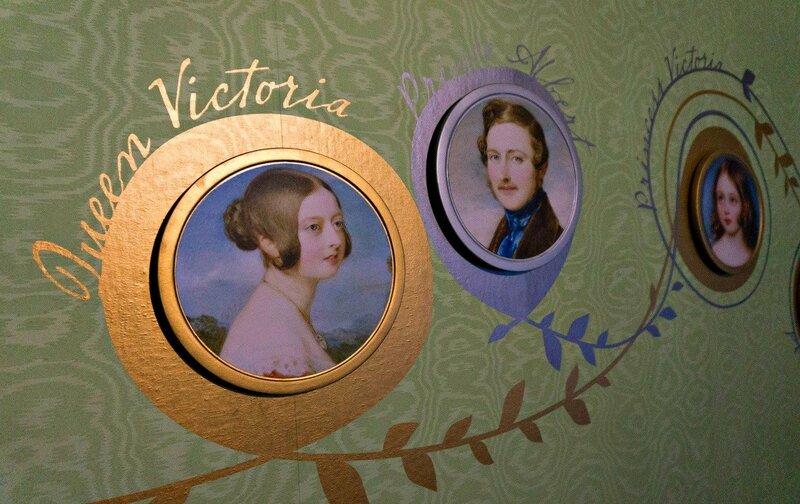 You can also see golden writings about Victoria’s lonely childhood and her difficulties being a wife, mother and reigning sovereign. It becomes clear to you that the queen had quite a stressful life, but when she spoke of Albert, her words exuded nothing but love and devotion. “My dearest Albert put on my stockings for me,” one of the inscriptions read. 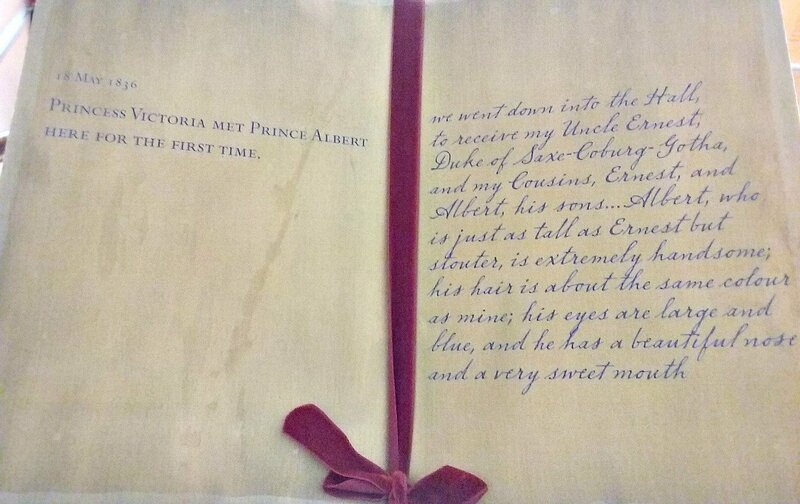 “I went in and saw him shave; a great delight for me.” You even see a couple of quotes from Albert shining on the wall, showing the exact same affection for Victoria as she shows for him, one in particular saying: “Dear Beloved Victoria,—Now I am in the same country as you. 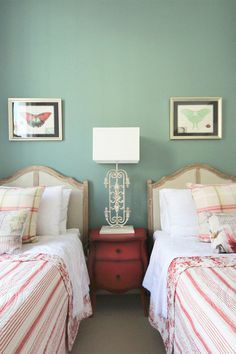 What a comforting thought for me!” It’s nothing short of endearing to read their exchanges and her diary entries; it’s like taking a peak into the curtain of their life together. Acknowledging the connection between these two monarchs is truly an instantaneous thing for any visitor, and only makes walking into the nursery all the better. 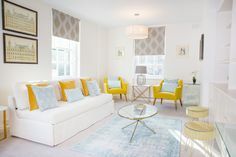 There, you’ll see everything from an intricate doll house to a cradle made of shimmering gold. Upon the walls is the immediate family tree of Victoria and Albert, starting with pictures of the couple and extending to images of their nine children. 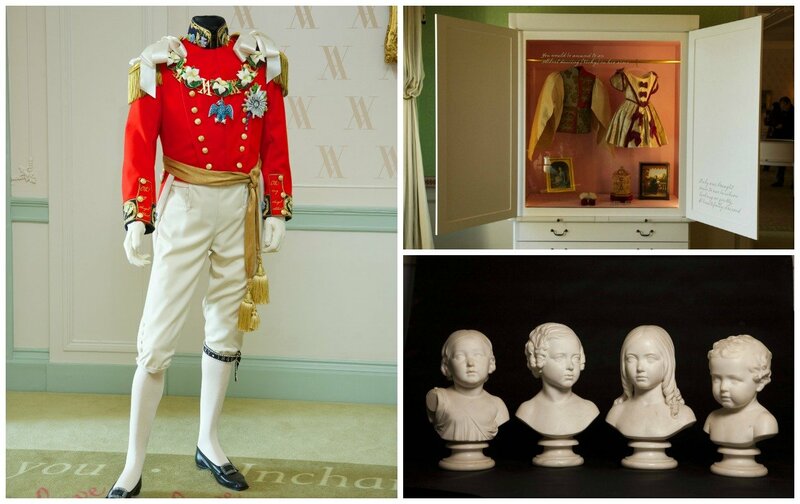 In the remaining rooms, you’ll also be able to see how the prince’s political influence began to shine through his wife’s reign, with his working desk and blown-up ads of his ventures on display. But perhaps the most compelling portion of this story was the end of it: Victoria in mourning. Most already know that Queen’s Victoria all-black attire in her mid-life was due to Prince Albert’s death in 1861, but actually seeing it in person solidifies the heartbreak. “My life as a happy one is ended! 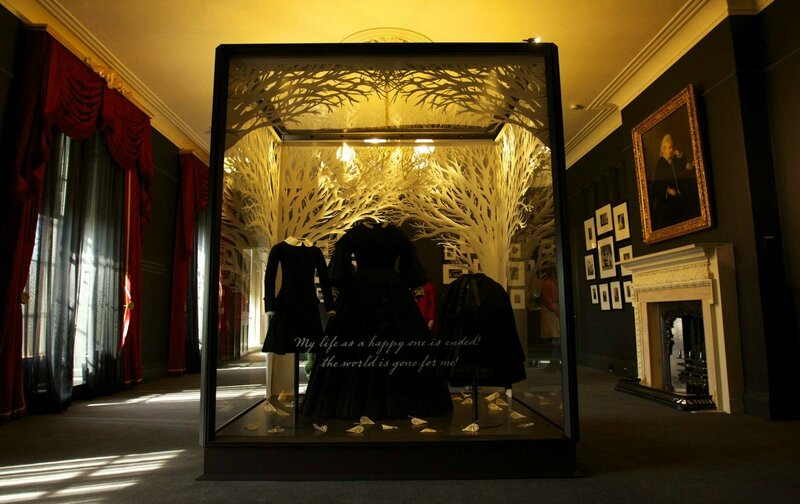 The world is gone for me!” This is a quote that was pasted onto the display of one of Queen Victoria’s large black dresses. 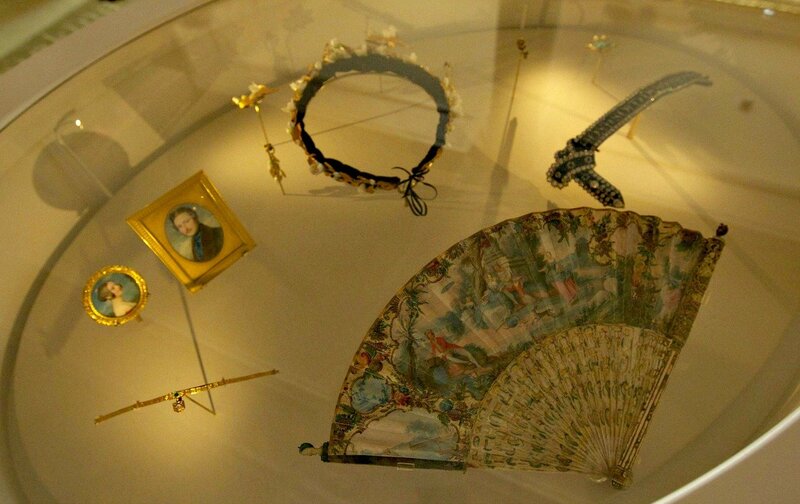 The exhibition really emphasizes the depression of her later years, showing paintings of the “widow of Windsor” dressed in black, and even having her larger dresses and stockings on display to highlight her weight gain. It was humbling to see these experiences in her own words and really made you feel as though you were bearing witness to both her joys and pains. 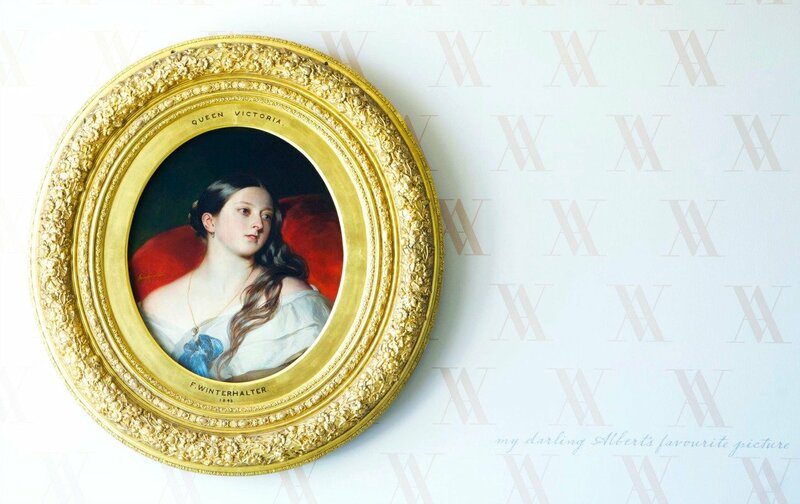 “Victoria Revealed” is included with your palace admission, and you can buy your tickets online or at the palace itself. No matter what your favorite aspect of your visit is, you’ll leave Kensington Palace with a smile on your face. Posted on Friday, August 12th, 2016 at 3:57 pm in See & Do. You can follow any responses to this entry through the RSS 2.0 feed. You can leave a response, or trackback from your own site.